1 product rewind: 700mm reel dia. The Press can also print dry offset and letterpress, with separate undercut sleevesThis is done by closing the dampening units of the offset unit and using the offset ink tray to allow for both dry offset and letterpress to be printed on the required material or label stock. 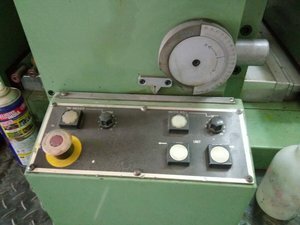 This press is in excellent condition and has been regularly serviced.